TRADERS and market-goers received a pleasant visit from their elected representatives here in Cecil Street Market. 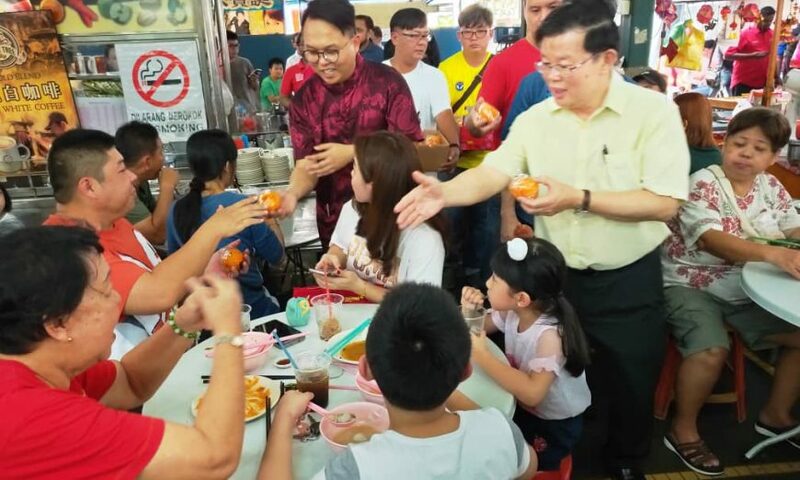 Chief Minister Chow Kon Yeow, who is also the Tanjong MP, together with Pengkalan Kota assemblyman Gooi Zi Sen and their team visited the market this afternoon to distribute mandarin oranges in conjunction with the Lunar New Year. Chow (second from left) and the community having a fun time taking photos at Cecil Street Market. 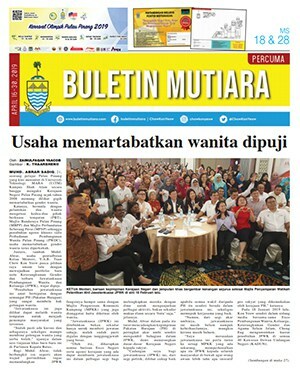 Also present was Penang Island City Council mayor Datuk Yew Tung Seang. Many who were present took the opportunity to take wefies with Chow and Gooi, which they happily accommodate. Market-goers taking photos with Chow (right) and Gooi (in red) during their visit to the Cecil Street Market. Gooi later told the media that they gave out 50 boxes of mandarin oranges at the event. “We are happy to share the joyous Chinese New Year spirit with the people of Pengkalan Kota and Tanjong,” he said today. Chow (right) distributing oranges at Cecil Street Market. “This is my first time distributing mandarin oranges as an assemblyman. I will continue the tradition to share this joyous occasion with the rakyat, and to extend our well wishes to the people,” he added. The volunteers from George Town CERT posing for a photo with their motorcycles. Chow and Gooi also visited the George Town CERT (Community Emergency Response Team) at the Dewan JKKK in Cecil Street to thank them for their services during the festive season.